Jason Schmidt is the southern coordinator for the Special Olympics, and has launched initiatives to get people with disability playing cricket. He is this week’s Changemaker. Schmidt is a community sports coach who has focused his volunteering efforts on helping people with disability to feel included through sport. 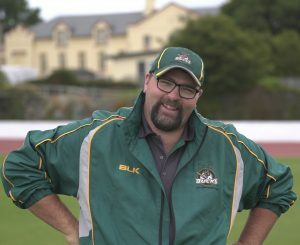 He established the first cricket programs in Tasmania to include people with disability – the Hurricane Inclusion Cup and the New Town Inclusion Project. Schmidt works as a junior development officer at New Town Cricket Club, a participation specialist at Cricket Tasmania and a southern coordinator for the Special Olympics, but has to balance this with working night shifts in retail and as a part-time relief teacher. The 34-year-old is also a self-described stay-at-home dad to three children, but remains committed to getting as many people with disability involved in cricket as he can, despite a lack of funding. In this week’s Changemaker, Schmidt explains how he developed cricket programs to include people with disability, discusses the impact these programs have had, and reveals how he balances his hectic schedule to find time for his children. How did you become involved with volunteering? It all started when my son began playing sport. 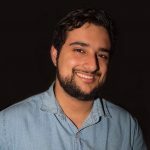 I volunteered with a team and ended up becoming a coach. It slowly progressed from there and the last couple of years, I have been slowly integrating sport into my career. And the best way to gain experience is through volunteering. What inspired you to launch the Hurricane Inclusion Cup and the New Town Inclusion Project? The Hurricane Inclusion Cup started through the Cricket Australia Community Ambassador Program I volunteered with. You had the choice of working either with people with a disability, women and girls, people from multicultural backgrounds or Indigenous Australians. I chose to work with people with disability. I worked with an autistic boy and absolutely loved it. 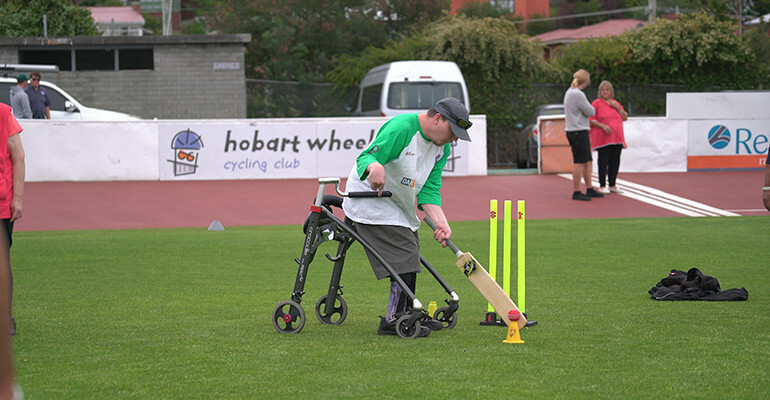 One of the local support services here emailed Cricket Tasmania and asked if they could do a couple of sessions as they were starting an all-abilities program. So I came along and was given four sessions to help them out. I loved it so much that I just continued to volunteer my time… and we were sitting down one day with the manager there and I said I could only take these guys so far and that we needed to go a little bit further. And I had a contact with one of the other support services, Life Without Barriers, and asked if they’d like to have a look at what we’re doing. They really enjoyed it… and came on board. And I got in contact with Oak Services as well and got them involved. We did a big trial day with everyone and had about 120 people there, including people with disability and parents. The atmosphere on that day was amazing, I’d never felt something like that before it was incredible. Then I got work with these services and did that in my own time because Cricket Tasmania didn’t have the budget to run all those sessions. Then we started actually playing proper games and we got 25 people from the north, and I picked all the best players from my southern group and we played a north vs south game. And the best players out of that game were picked in the Tasmania team. It was great and I’m also the junior development officer at the New Town Cricket Club and I wanted somewhere for them to go afterwards because a lot of them were really enjoying their cricket but they could only go so far with that. So I created the New Town Inclusion Program for the sole purpose of them coming into the club and getting the feel of being part of a club, with the intention of integrating them into the mainstream team. I’ve already had two people I’ve integrated. One of them, Christopher, I contacted one of the cricket clubs near where he lived at Old Beach, and he’s now training with their third grade team, which is really good. And the other person, Mitch, recently turned 18 and is playing with the under 15s team which is great. That’s what I love about cricket, age is only a guideline and its ability based. So that’s really where it came from. What has been the impact of these programs on participants? The impact it has had on their lives is immense. Their confidence in themselves has grown since I’ve been watching them the last 11 months. One of my participants is severely autistic and almost completely non-verbal with sensory issues. For the first three or four sessions he couldn’t hold the cricket ball because of the sensations but after three weeks we got him to hold and throw the ball and now he’s a sharpshooter. Some of his shots would put Ricky Ponting to shame. I’ve had parents come up to me and say they’ve noticed a change within their kids. It’s about making them independent. If they can go and get their cricket ball, they can go and get their lunch from the kitchen or put their washing in the washing machine. And so all the things they’ve had people doing for them they can do it for themselves now and they are a lot more confident and have belief in themselves. And now they feel part of a team and are a lot more social, which is incredibly important. That’s the impact sport has on people, it impacts them all over. Have you faced any issues running these programs? Everybody has been 100 per cent committed to it and wants to be part of it. But we’re facing issues with funding, because Cricket Tasmania doesn’t have a big budget for funding disability programs. But now the Special Olympics have come on board and are helping to pay for stuff. So that helps a lot and every time I turn around I have someone wanting to join in and they see the benefit of it. How would you like to see these programs expand? I came back from nationals on Sunday and we’re looking to expand to wheelchair cricket and I’m already in talks with the Tasmanian wheelchair community to set that up. Also, Blind Cricket has contacted me and want to do more regular sessions and we’re going to put them under the banner of the Hurricane Inclusion Cup which we’ll have to rebrand soon. We’re looking to go into schools and work with kids with disability, and possibly partner with the Lend a Hand to Hugo Foundation, which does some amazing work in Tasmania in regards to raising money and awareness for autism. They also run their own kids Milo cricket program and so we’re looking at partnering with them. We want to broach into a few areas. I’ve been in contact with deaf cricket and one of the guys there actually lives in Tasmania but had to play for Western Australia because we don’t have a Tasmanian team. So we’re branching into these three forms of disability and taking them all on, instead of just focusing on intellectual disability. How do you balance your multiple roles in the community and still find time for yourself? I don’t really have much spare time at the moment. I’m very good at time management and I’m really glad they don’t just come in a flood they come in waves. I make sure I always spend time with my kids and enjoy them as best I can, but it’s just about finding time with my kids because at the end of the day they’re the most important thing in my life. Technically I’m still a stay-at-home dad and my youngest daughter is starting school this year, but last year she came to all the sessions with me and was my special helper. I find that really important to teach them a sense of social awareness and have them understand there’s people in the world that have problems they’re not used to having. Christopher Henry Gayle, OD is a Jamaican cricketer who plays international cricket for the West Indies. Gayle captained the West Indies’ Test side from 2007 to 2010. Considered one of the greatest batsmen in limited-overs cricket, also regarded as the best T20 batsman ever.